Ayodhya is a sacred place for Hindus, so Masjid should not be built in Ayodhya, Waseem Rizvi said. Those who want a masjid there should go and join forces of ISIS chief Abu Baqar Baghdadi, he said. Fundamentalist clerics are trying to destroy the country and they should migrate to Pak or Afghanistan. 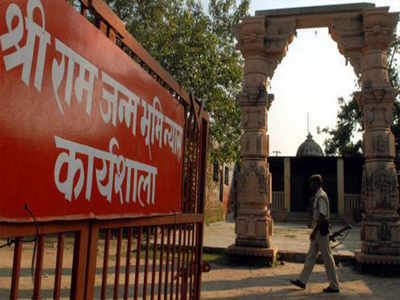 FAIZABAD: Uttar Pradesh Shia Waqf Board chairman Waseem Rizvi said on Friday that Muslims who are against Ram Janmabhoomi Temple should go to Pakistan or Bangladesh and join ISIS. Rizvi also offered prayers at the disputed site and met Ram Janmabhoomi chief priest Acharya Satyendra Das. “Ayodhya is a sacred place for Hindus, so Masjid should not be built in Ayodhya. Those who want a masjid there should go and join forces of ISIS Chief Abu Baqar Baghdadi,” said Rizvi. He further said that fundamentalists like Zakir Naik should join ISIS in Syria. Fundamentalist clerics are trying to destroy the country and they should migrate to Pakistan or Afghanistan. Earlier, Rizvi had stirred a controversy by saying that children studying in madrassas turned into terrorists. He had asked the state and central governments to ban all madrassas and initiate inquiries into them.